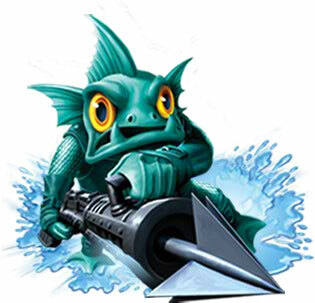 darkSpyro - Spyro and Skylanders Forum - Skylanders: Lost Islands - Another update!!! darkSpyro - Spyro and Skylanders Forum > Skylanders Mobile > Skylanders: Lost Islands > Another update!!! Looks like there was just another update that did not require the app store. I got a message that said to restart Lost Islands because of an update and when I did that, my problem I was having with accepting friend requests through Lost Islands seems to be fixed. ... however, it seems they have further reduced the odds of getting gems as gifts, because the latest batch of 5 gifts I opened after that update only netted me one gem. Boo! This update crashes more than before. Going between friends' islands really needs some tweaking. Edit: After playing around a bit I discovered that it's a certain friend that is triggering game crashes. No idea why either. I'm having the same issue, I can visit all friends except for one (Gorantoth). As for the stealth nerf to receiving gems, am seeing the same thing, only worse... About 1 out of 15 gifts was a gem. Bummer! Have you tried accepting friend requests through Cloud Patrol instead? Even when I wasn't able to view or accept them in Lost Islands, I always could in Cloud Patrol. Lol, I got 12 gems from 14 friends! I was looking forward to playing again, but Gems just aren't given out generously enough. It really should be like DragonVale where Gems are guarunteed the one gift. I wouldn't mind so much, but we already pay so much for the figures, Gems in Lost Islands feel ridiculous to get. Just had my game crash while I was clearing away trolls & lost the totem stone I'd just gotten. Kinda ticked me off it wasn't there still (the totem) when I reopened my game 2 seconds later. The extreme crashing needs to be addressed. It seemed to me that the first gift from a new friend was always 1 gem, then after that it gets random. And i have not had a random gold chest in weeks now. Which really annoys me because those would drop gems ocassionally as well as the large cash amount. Like many others i spend a lot of money on the figures and i feel that should be enough for me to have an active lost island game that doesnt fall behind others. Sure it should be faster to level if i spend cash to buy gems, but i should not be disadvantaged if i dont. If i choose to "farm" by spending more time in game to get gems, i should be able to. Im not unrealistic, i dont want to use gems for houses, decorations or even for figures, there are alternatives for those. But when i need 350 gems for a giant house which is an item with no alternative but i have no guaranteed way to make gems each day, its just impossible. The max gems out of levelling a figure is less than one third what it used to be, that has actually discouraged me from buying figures when i was regularly doing so before that particular unannounced update. Come on activision, you want my cash, keep me involved in this game, keep me buying figures for my kids. Dangle enough gems at me so i dont give up in despair and stop altogether. Thanks! I hadn't even thought of that!